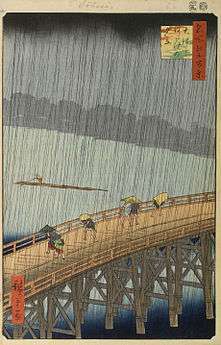 Japanese art covers a wide range of art styles and media, including ancient pottery, sculpture, ink painting and calligraphy on silk and paper, ukiyo-e paintings and woodblock prints, kirigami, origami, and more recently manga—modern Japanese cartooning and comics—along with a myriad of other types of works of art. 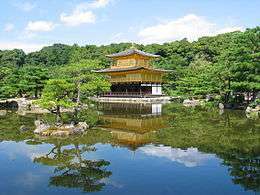 It has a long history, ranging from the beginnings of human habitation in Japan, sometime in the 10th millennium BC, to the present. Japan has been subject to sudden invasions of new and strange ideas followed by long periods of minimal contact with the outside world. Over time the Japanese developed the ability to absorb, imitate, and finally assimilate those elements of foreign culture that complemented their aesthetic preferences. 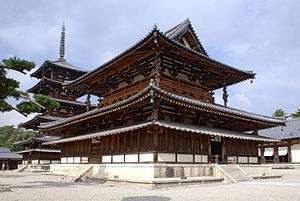 The earliest complex art in Japan was produced in the 7th and 8th centuries in connection with [Buddhism]. 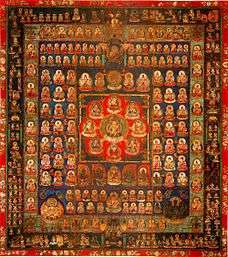 In the 9th century, as the Japanese began to turn away from China and develop indigenous forms of expression, the secular arts became increasingly important; until the late 15th century, both religious and secular arts flourished. After the Ōnin War (1467–1477), Japan entered a period of political, social, and economic disruption that lasted for over a century. In the state that emerged under the leadership of the Tokugawa shogunate, organized religion played a much less important role in people's lives, and the arts that survived were primarily secular. 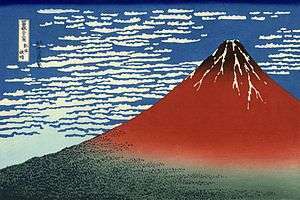 Painting is the preferred artistic expression in Japan, practiced by amateurs and professionals alike. 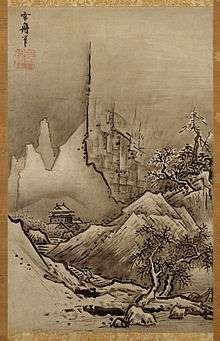 Until modern times, the Japanese wrote with a brush rather than a pen, and their familiarity with brush techniques has made them particularly sensitive to the values and aesthetics of painting. With the rise of popular culture in the Edo period, a style of woodblock prints became a major form and its techniques were fine tuned to produce colorful prints. The Japanese, in this period, found sculpture a much less sympathetic medium for artistic expression; most Japanese sculpture is associated with religion, and the medium's use declined with the lessening importance of traditional Buddhism. Japanese ceramics are among the finest in the world and include the earliest known artifacts of their culture. In architecture, Japanese preferences for natural materials and an interaction of interior and exterior space are clearly expressed. The first settlers of Japan, the Jōmon people (c. 11000 – c. 300 BC), named for the cord markings that decorated the surfaces of their clay vessels, were nomadic hunter-gatherers who later practiced organized farming and built cities with populations of hundreds if not thousands. They built simple houses of wood and thatch set into shallow earthen pits to provide warmth from the soil. They crafted lavishly decorated pottery storage vessels, clay figurines called dogū, and crystal jewels. Siege of the Sanjo Palace. Thus, the Kegon Engi Emaki combines passages of text, written with a maximum of easily readable syllables, and illustrations that have the dialogue between characters written next to the speakers, a technique comparable to contemporary comic strips. The plot of the e-maki, the lives of the two Korean priests who founded the Kegon sect, is swiftly paced and filled with fantastic feats such as a journey to the palace of the Ocean King, and a poignant mom story. 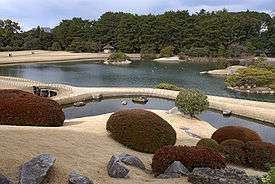 In the Azuchi–Momoyama period (1573–1603), a succession of military leaders, such as Oda Nobunaga, Toyotomi Hideyoshi, and Tokugawa Ieyasu, attempted to bring peace and political stability to Japan after an era of almost 100 years of warfare. 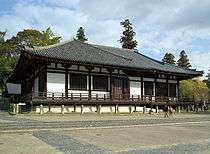 Oda, a minor chieftain, acquired power sufficient to take de facto control of the government in 1568 and, five years later, to oust the last Ashikaga shogun. 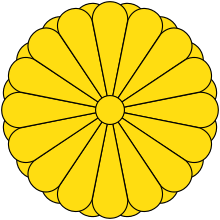 Hideyoshi took command after Oda's death, but his plans to establish hereditary rule were foiled by Ieyasu, who established the Tokugawa shogunate in 1603. 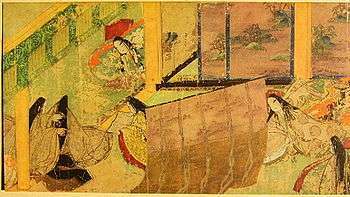 Painting: The most important school of painting in the Momoyama period was that of the Kanō school, and the greatest innovation of the period was the formula, developed by Kanō Eitoku, for the creation of monumental landscapes on the sliding doors enclosing a room. 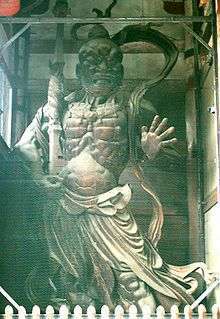 The decoration of the main room facing the garden of the Jukō-in, a subtemple of Daitoku-ji (a Zen temple in Kyoto), is perhaps the best extant example of Eitoku's work. A massive ume tree and twin pines are depicted on pairs of sliding screens in diagonally opposite corners, their trunks repeating the verticals of the corner posts and their branches extending to left and right, unifying the adjoining panels. Eitoku's screen, 'Chinese Lions', also in Kyoto, reveals the bold, brightly colored style of painting preferred by the samurai. 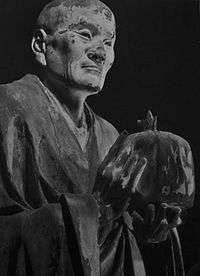 ↑ Korean Influence on Early Japanese Buddhist Sculpture buddhapia.com "One must stress the obvious point that since Korean Buddhist art is directly based on developments in China, ultimately a study of Korean influence on Japan must be rooted in an understanding of the Chinese impact on Korea. 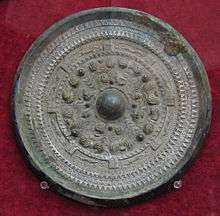 ""Since the territory of the Northern Wei was adjacent to that of Koguryo, it is natural that the Buddhist ideas and art current at the Northern Wei court would flow directly to Koguryo. ""It should also be pointed out that there was considerable influence from Koguryo on the southern kingdoms of Paekche and Silla even though Paekche also received direct influence from south China, as was mentioned above." "I have argued that various groups, including official envoys, monks and students, as well as Korean settlers, were responsible for bringing Korean icons to Japan." ↑ "Archaic smile", Britannica Online Encyclopedia, 2009, webpage: EB-Smile. ↑ Korea, 500–1000 A.D. Heilbrunn Timeline of Art History The Metropolitan Museum of Art metmuseum.org　"Throughout this period, Korea continues to play a crucial role in the transmission of technology and ideas to Japan." ↑ "Choukin (彫金)". JAANUS. Retrieved 13 May 2016. ↑ Frédéric, Louis; Roth, Käthe (2002). 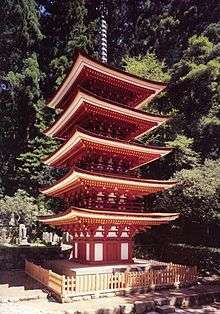 Japan Encyclopedia. Harvard University Press. 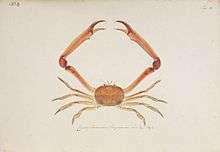 p. 120. 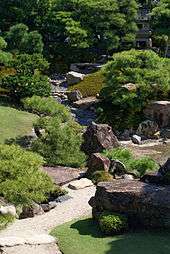 ↑ Video of a Lecture discussing the importance of Okakura and Japanese Art to Global Modernism, School of Advanced Study, July 2011. (Spanish)/(Japanese) Kato, Kauro [sic] (加藤 薫 Katō Kaoru) (Kanagawa University), translator: Saeko Yanagisawa. "Acercamiento a la influencia del movimiento muralista mexicano en el arte contemporáneo de Japón." (日本現代美術におけるメキシコ壁画運動の影響について, Archive) Crónicas. El Muralismo, Producto de la Revolución Mexicana, en América. National Autonomous University of Mexico. December 2008, No. 13, p. 237–264. Spanish: p. 237–255, Japanese: p. 256–264.